Gotta love the French. Their country has many issues, but when it comes to the really important things, you know you can trust them. And when I say important things, I mean, food, of course. 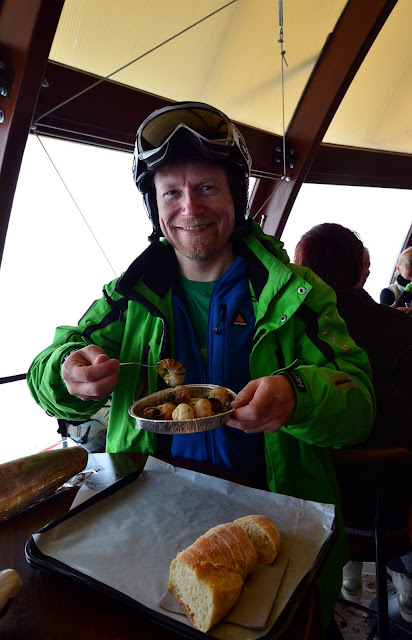 This week I'm skiing a couple of days in Les Arcs, and we had lunch in a small cafe in the middle of the ski slopes, near the Arcabulle ski lift. Nothing special about the cafe. A modern, ugly dome construction. Too few seats inside for a cold day like we had today. 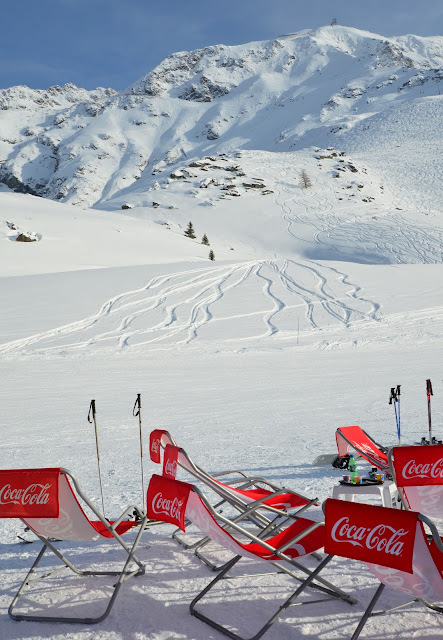 The usual Coke chairs outside. But they had Escargots de Bourgogne on the menu. And that was just one of the two snail meals they had on the menu, right next to the pizzas and sandwiches. 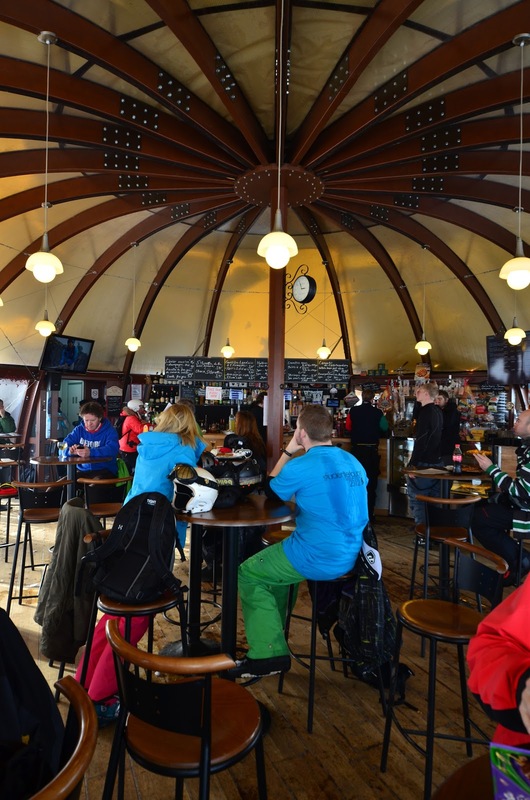 Interestingly, this cafe is right next to the world-famous Les Arcs speed skiing track. I wonder if the speed records have been made with snail-powered lunches? Chairs outside, Aigulle Rouge on the background. 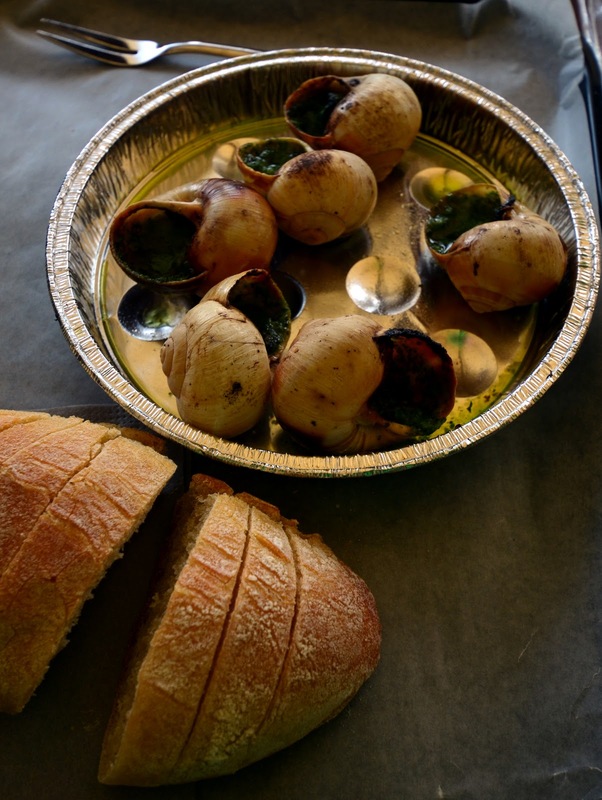 The snails are my favorite food, so I was delighted to have them for lunch. And we really needed the meal, it was already 2PM and we had spent the morning out of bounds on the rocky slopes of Aigulle Rouge (destroying my skis even further). And I needed a meal before a long conference call that I would have to take in the evening.